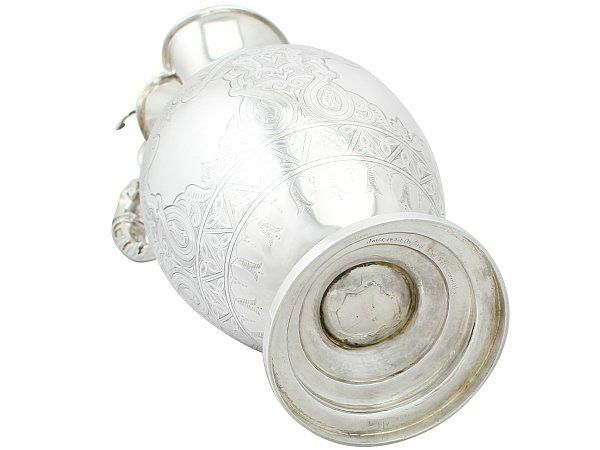 This magnificent antique Victorian English sterling silver wine ewer has an ovoid shaped form onto a plain circular stepped foot, in the traditional ewer style. 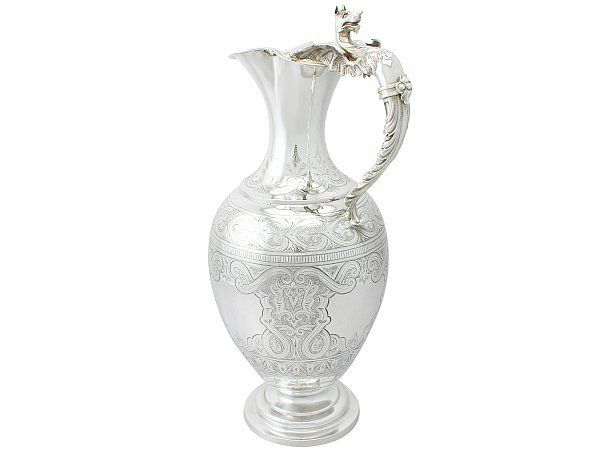 The waisted neck is encircled with bright cut engraved scroll and stylised palmette ornamentation to the lower portion and an applied moulded border to the shaped incurved upper rim. 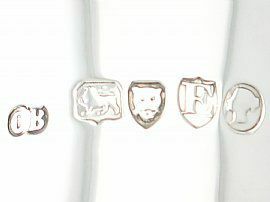 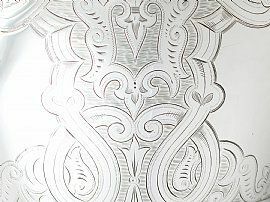 The upper portion of the body is encircled with a simplified vertebrate band of palmette decoration above a narrow band of ribbed ornamentation. 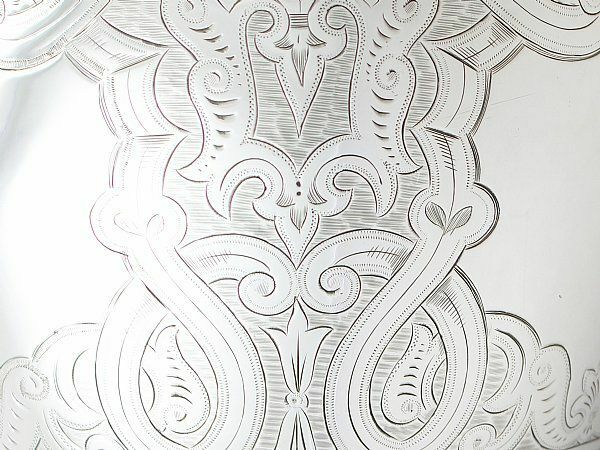 The broadest central band of ornamentation to the body is embellished with impressive bright cut engraved interlacing scrolling decoration accented with stylised leaf designs incorporating four shaped vacant cartouches. The lower portion of the body is encircled with alternating suspended simplified floral and pendant drop ornamentation below a band subdivided into triangle motifs each accented with a singular trefoil design. 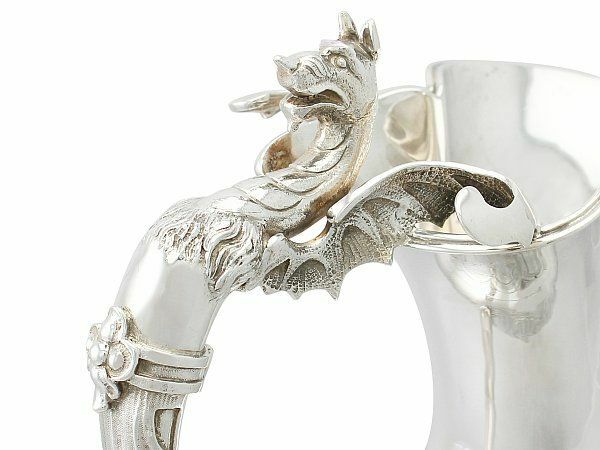 This magnificent silver wine ewer is fitted with an impressive chased decorated handle illustrating a wyvern style hybrid creature to the upper portion and a single scrolling leaf design to the lower portion, divided to the centre with a simple collar and lobed bead motif. 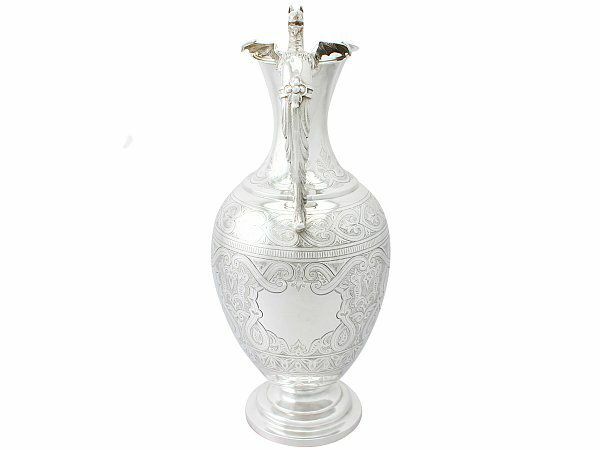 This large wine ewer is an exceptional and very unusual example of its type. 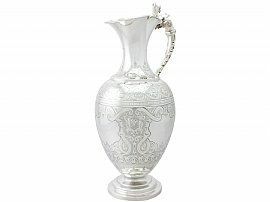 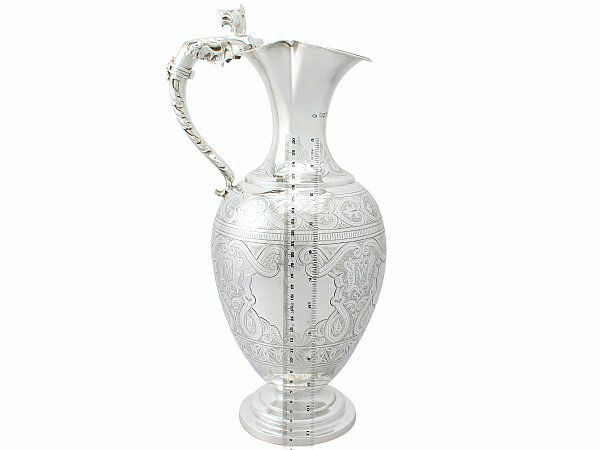 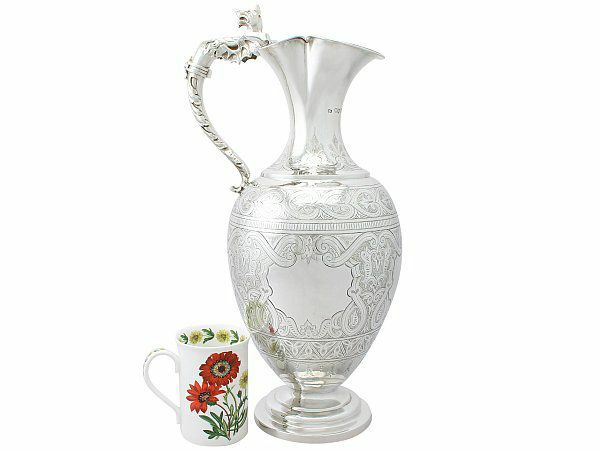 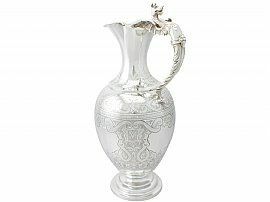 This antique wine ewer is an exceptional gauge of silver, exceptional quality and in exceptional presentation condition. 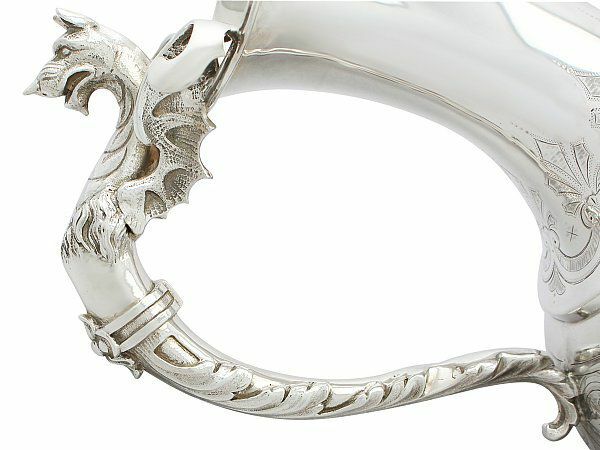 Full hallmarks struck to the surface of the neck are all very clear. Height to top of handle 42.6cm/16.8"